To get ready for the 2015 Beast of the East, take a look back at the history of the tournament. 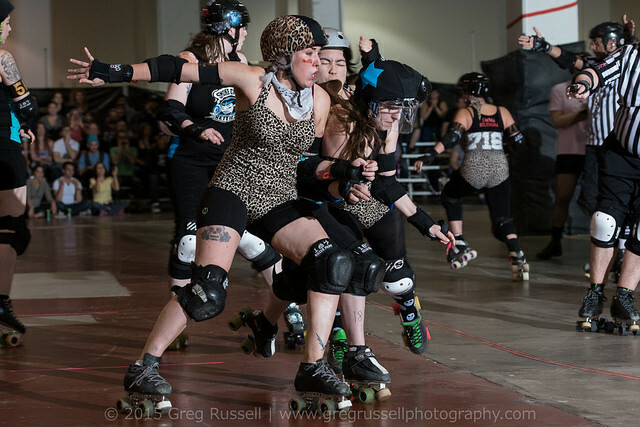 [*The Gore-Gore Rollergirls were the first team to score 100 points in a bout–a 103-11 victory over Capital Carnage in 2009; Les Filles du Roi did it vs. the Vicious Dishes in 2010; four different teams accomplished it in 2011; the Vicious Dishes did it three times themselves in 2012, while three other teams did it that year as well. Since then, it has become common]. Thames Fatales FCDG 7 – 13 Eighth appearance. Quarter final in 2010, 13. 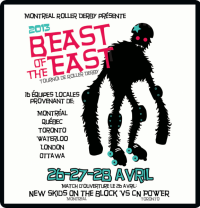 Les Contrabanditas MTLRD 17 – 10 2nd place in 2009. 3rd in 2010. Quarters 2011,12, 13. Death Track Dolls ToRD 12 – 11 Quarter finals in 2009, 14; 3rd place in 2011, 13. 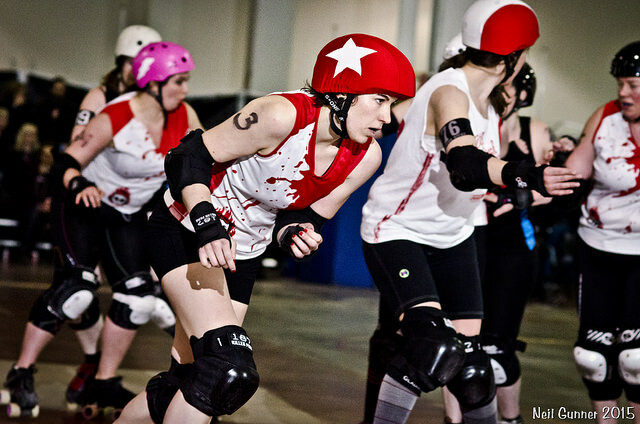 Hamilton Harlots HCRG 8 – 6 2008-2010, 2012. Champs in 08. Death Row Dames HCRG 3 – 5 2008-2010. Quarter final in 2010. Bay Street Bruisers ToRD 1 – 3 2008, 2009. Now ToRD B-travel team. D-VAS ToRD 0 – 1 2008. Now ToRD houseleague farm team. * Read the Derby Nerd’s reflections. * Read the Derby Nerd’s commentary. *Read the Derby Nerd’s preview and recap. * Read the Derby Nerd’s preview and recap. Read the Derby Nerd’s preview and recap. VIDEO: Watch Double Elimination Archives Part 1 here. Watch Part 2 here. Watch quarter finals here. Watch the third place and championship games here. *Video: Watch Day 1 here (begins without commentary); Watch Day 2 here.